After a – of cause – much to long time of waiting, the 20″ frames arrived friday. Longneck 300mm and shortneck 165mm as shown at the pics below. 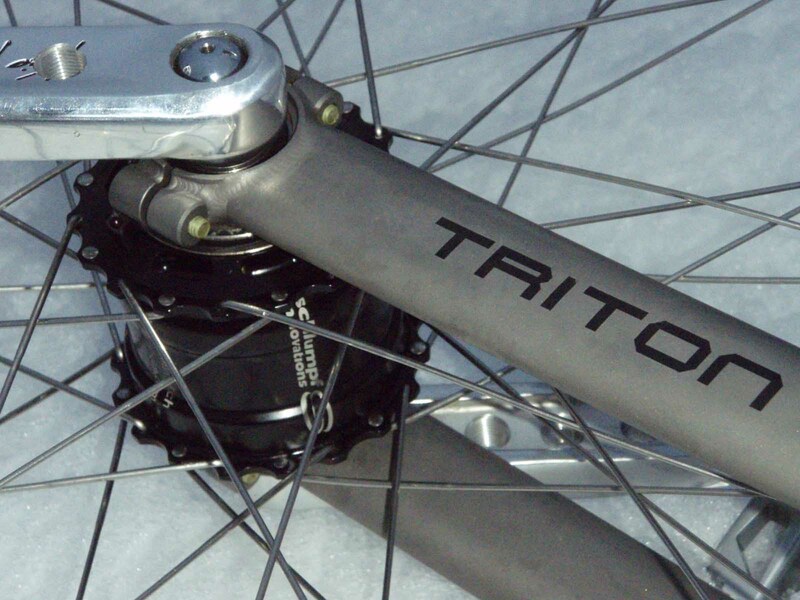 Triton with Schlumpf Hubs available now! You want to ride Triton? You want to ride a Schlumpf hub? No problem you will get it together here! From now you can order Triton titanium frames with or without Schlumpf hubs. You are currently browsing the Triton Team Blog blog archives for März, 2010.